The most prestigious event of the year was filled with fashion, love, and so much more. I'd never pass up an opportunity to discuss a red carpet event, and the Met Gala is the most renowned one of the year. It is known for highlighting iconic fashion styles, and it is a reflection of our changing culture. This year, the theme was Heavenly Bodies, and the celebrities were serving some LOOKS. Here are eight fabulous Met Gala moments that had me terribly wishing I could've been there. 1. 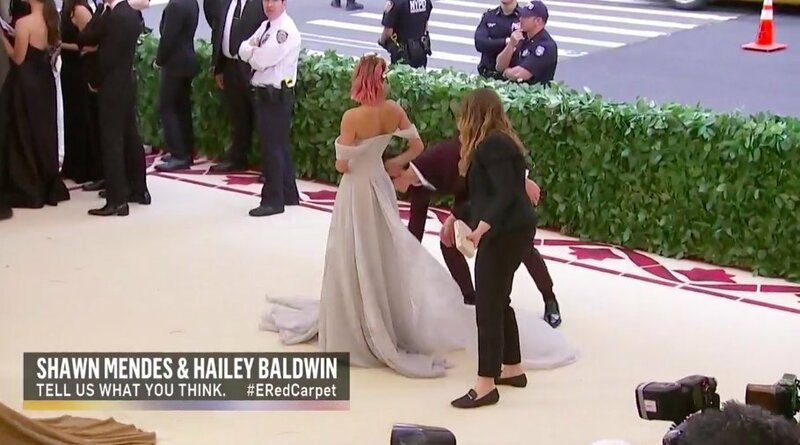 Shawn Mendes fixing Hailey Baldwin's dress. As one of the many couples to debut their relationship on the red carpet, Mendes and Baldwin couldn't have looked better together. But I think I truly DIED when Shawn took the time to fix Hailey's dress like a true gentleman. Can you say goals? 2. 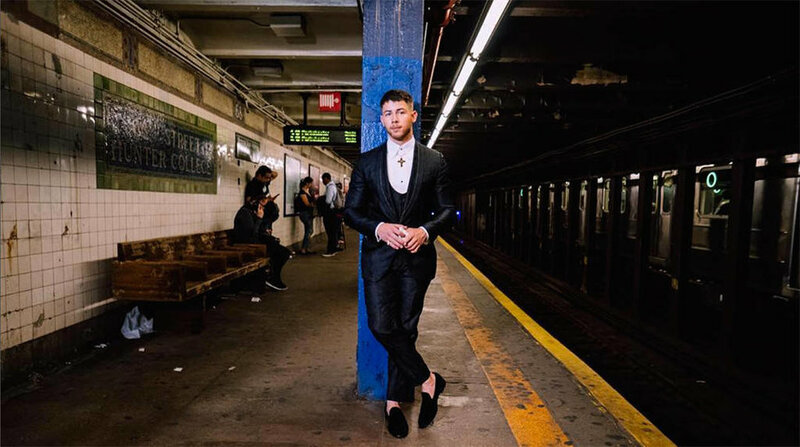 Nick Jonas using the subway as his form of transportation. A true Jersey boy at heart. The Met Gala is one of the most prestigious events of the year in the celebrity world, if not the most prestigious, so most celebs take their own limos and cars. But not Mr. Jonas! He rode the subway all the way to the party. Side note: why and HOW is he still single? 3. Blake Lively. That is all. One word: QUEEN. Lively is always showing everyone up, but this year, she took it to a new level of stunning that we didn't know existed. She is so beyond perfect in that dress that she should be put on display at the Met as a piece of art herself. 4. Lili Reinhart & Cole Sprouse FINALLY confirming those dating rumors. YOU DON'T KNOW HOW LONG I WAITED FOR THIS. After a long few months of the pair tagging each other in photos and sneakily going on vacations together, they finally debuted their relationship on the Met Gala red carpet, and they couldn't have looked more in love. #Bughead forever! 5. Kendall Jenner living her best life without a child to worry about. As the only Kardashian to be childless, Kendall was thriving at the Met Gala. She even posted a photograph the next day that was captioned "heavenly hungover." It's safe to say that she's the crazy, fun aunt in the Kardash family. 6. Gigi Hadid and Selena Gomez hugging it out. Girls night! Neither of these two brought dates and took the time to pose with each other, proving that you don't need a man to get dressed up and look absolutely fabulous. 7. Travis Scott gazing at Kylie Jenner. Because of all of the Kardashian drama that goes on, I am so happy to see that this duo is still going strong after the birth of their baby girl. Here's hoping they're in it for the long haul for baby Stormi! 8. Hailee Steinfeld giving us a look we never knew we needed. Definitely the most under-rated look of the night. Hailee Steinfeld is one of those celebrities you forget about, but she is always showing off an unforgettable look. She turns simple outfits into something truly fabulous. They say living in the world of a celebrity isn't as glamorous as it seems, but I wouldn't mind getting a personal invite to the Met Gala and having photographers snap pictures of me. Sigh, maybe one day it will happen. Until then, I can't wait to see what looks everyone pulls out for next year's Gala.